There's more life yet for The Hunchback of Notre Dame. 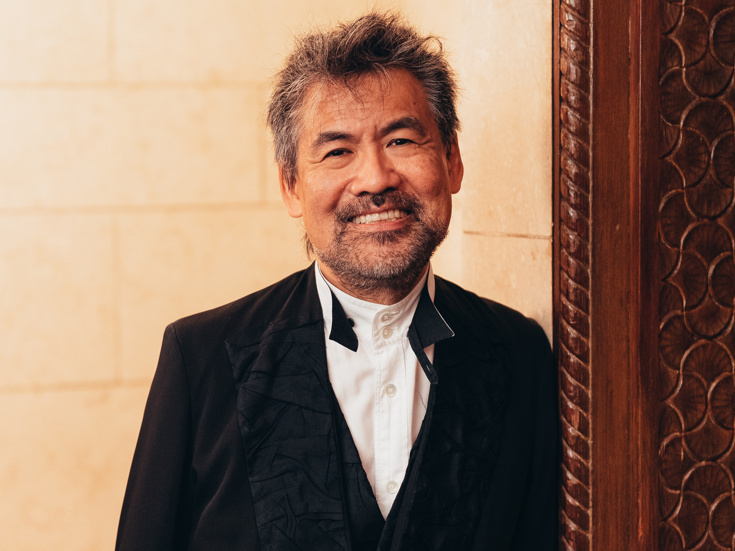 The beloved 1996 animated film which was adapted into an acclaimed stage musical will now appear as a live-action movie, with a script adapted by Tony winner David Henry Hwang (M. Butterfly). Tony nominee Josh Gad is co-producing; the Book of Mormon original might also appear in the film as Quasimodo, according to Deadline. The new movie will feature the original music and lyrics of Tony winner Alan Menken (Newsies) and Tony nominee Stephen Schwartz (Wicked). The latest adaptation will draw inspiration from the animated film, but not from the stage production, which appeared at New Jersey's Paper Mill Playhouse in 2015 featuring Michael Arden as Quasimodo and Ciara Renée as Esmerelda. Based on the 1831 novel by Victor Hugo, Hunchback follows Quasimodo, a deformed bell ringer at the Notre Dame cathedral, and his unlikely relationship with the gypsy Esmeralda. Additional details, including full casting and a release date, are forthcoming.